Since 2012 Dearneside has invested in its future by taking on apprentices in its Manufacturing and Design facility in Sheffield. Dearneside’s Managing Director, once an apprentice himself, decided that youth were the future and since then the company has taken on an apprentice every year. We have now committed to the apprenticeship program of the Advanced Manufacturing Research Centre (AMRC) in Sheffield. Dearneside Fabrication currently has three apprentices, all plater welders. Our original apprentices Josh and Jack joined the company in 2012 and both received distinctions in their first two years at Sheffield Engineering Centre. An apprentice spends 26 weeks at AMRC to complete the first part of their vocational apprenticeship. Our first apprentice at AMRC even met Prince Andrew, and presented him with stainless steel Yorkshire Roses made by himself. A very proud moment for him and for Dearneside Fabrications Ltd.
Apprentices at AMRC complete level 2 and level 3 Engineering qualifications. 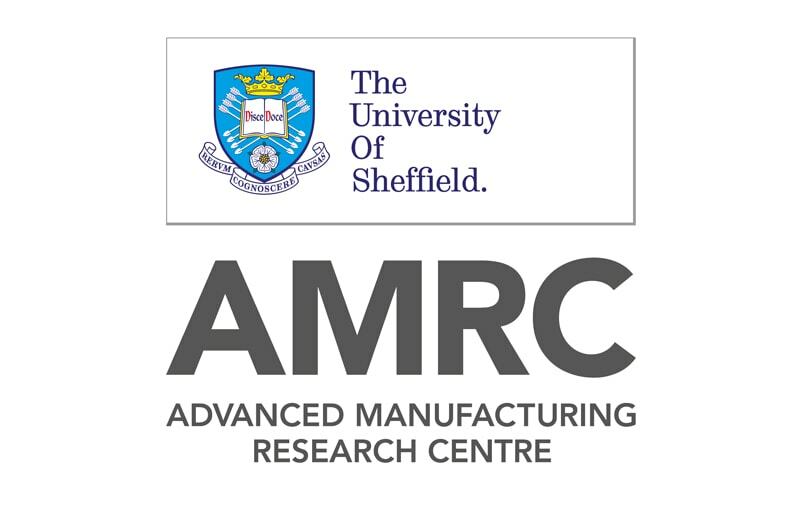 Furthermore AMRC is also linked to the University of Sheffield, as well as big companies such as Boeing and Rolls Royce. These links and the AMRC facilities provide huge benefits to the program, for example the links with the University means our apprentices have options to continue their studies. Josh is now embarking on his foundation degree in Engineering in September. Our apprenticeship program has also been met with applause from our clients. We were awarded an Outstanding Contribution to Apprenticeships by Berkeley Homes Group in 2016. With the company order book growing, and the success so far with its current crop of apprentices, the company has just recruited another school leaver to start at AMRC in September 2017. 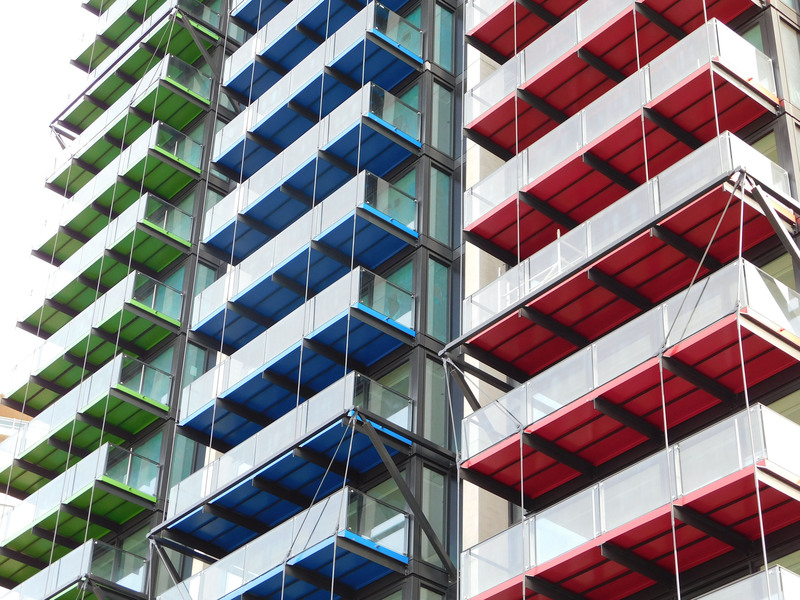 Dearneside has recently successfully secured the balcony and architectural metalwork package on the first phase of the Strand East development in Stratford. This will be the first contract with Henry Construction. Built as a warehouse in the late 19th century, “the Sugar House” was where barrels were made for the gin distillery next door at Three Mills. However over the years the site has become mostly abandoned and near-derelict. With the recent regeneration of Stratford thanks to the Olympics, the Strand East area was next on the list. 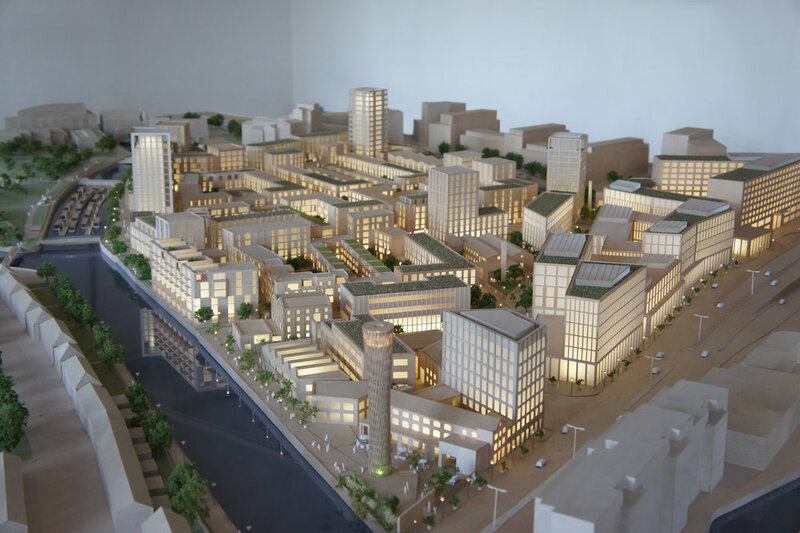 The current plan for the new development is to transform and revive 26 acres of historic London into a vibrant energy-efficient neighbourhood, while keeping its history and heritage. The site will comprise of 1,2000 homes, including mew-style town houses, sitting alongside 58,000 m² of commercial space, a 350-bedroom hotel and a vast number of community facilities. The area is also set to have spacious public areas, waterways and public courtyards. 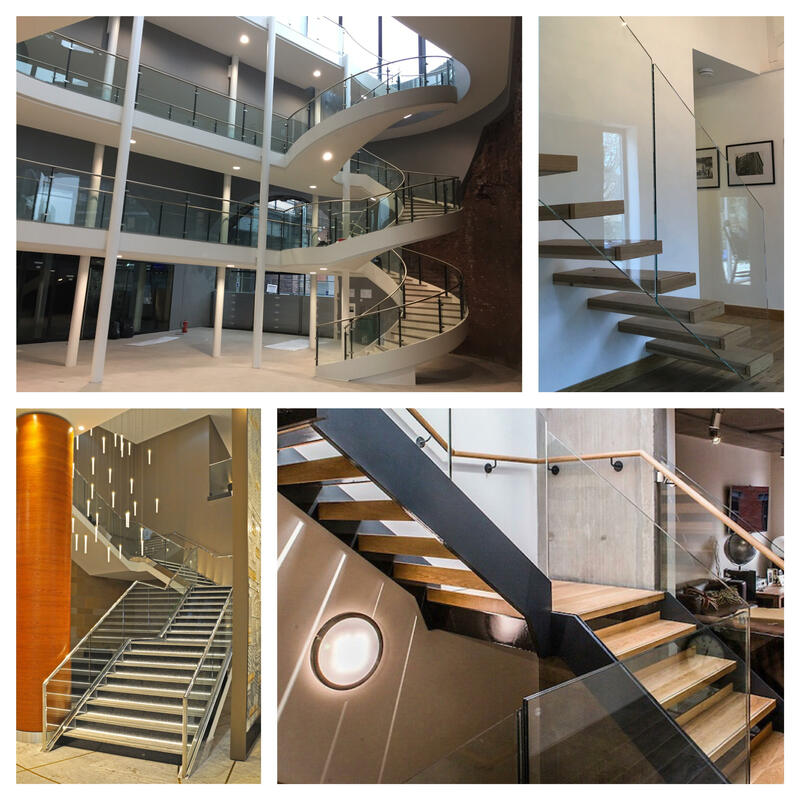 As well as being renowned for our multi-million pound balcony packages on major landmarks around the UK, Dearneside Fabrications also specialise in staircase and architectural metalwork packages. In the past year we have installed feature staircases in 5* hotels, shopping centres, headquarters of multinational corporations and numerous prime residential projects. We have designed a wide range of bespoke installations including complex helical, spiral and floating stairs. Our staircases also come with a variety of different finishes, often forming a focal point in the building. Dearneside Fabrications is pleased to have recently secured the metalwork package on the Westfield London extension. In recent years Dearneside Fabrications has been involved in several major retail projects, and is now recognised as the premier architectural metalwork contractor operating in large retail-lead schemes in the UK. To name a few, the company successfully installed a metalwork package on the Broadway scheme in Bradford and is now carrying out a £1.5 million balustrade package on the £300 million Meadowhall redevelopment in Sheffield. We are also currently working for Laing O’Rourke and installing a £1.4 million architectural metalwork package on the massive £440 million Westgate development in Oxford. Since opening in 2008, Westfield London has become London’s shopping hub. When it was originally built it completely transformed London’s retail landscape. The already impressive shopping centre currently houses over 360 retailers from 15 different countries. It also includes a 17-screen state-of-the-art cinema, the UK’s first Kidzania, the Atrium events space, a flagship gym and an array of restaurants and bars. In 2015, a £600 million expansion project began to develop the shopping centre, and is planned to be completed by March 2018. 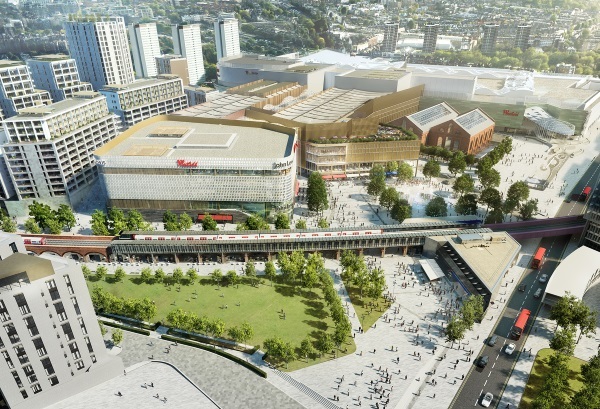 Once finished, Westfield London will hold 450 shops and is estimated to attract over 39 million visitors per year. 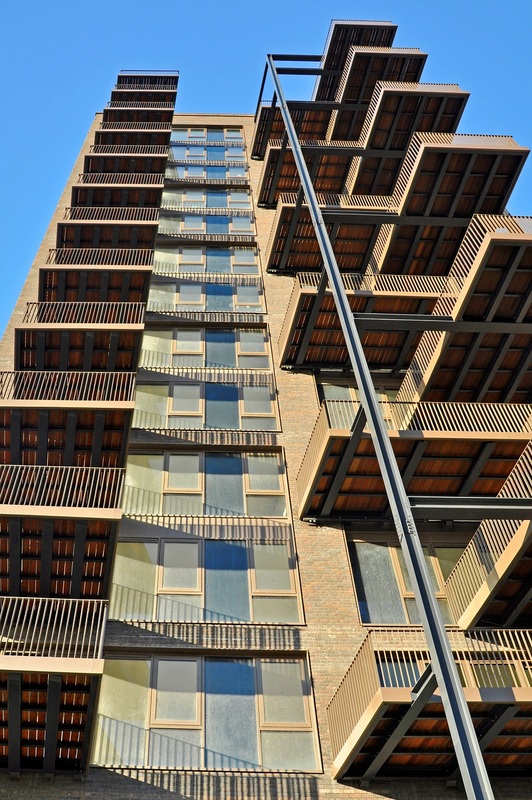 Dearneside Fabrications is honoured to have provided bespoke Balcony Packages and Architectural Metalwork for Embassy Gardens, one of the prestigious waterside developments in Nine Elms London. We have successfully installed original, modern balconies for the first phase of construction, and will be providing more installations for the second phase, which goes onsite this summer. Master-planned by Sir Terry Farrell, the waterside development is spread across six hectares and eight buildings, some of them rising to 23 storeys. The site comprises of the new US Embassy, the Dutch Embassy, the world-famous Sky Pool and a linear park which runs the length of Embassy Gardens and ends at Battersea Park. It will also include approximately 1,750 luxury apartments and 20,000 sq m of office space. Dearneside Fabrications is excited to be working on several very impressive projects within the massive redevelopment of Nine Elms, London. Nine Elms is part of London’s last remaining industrial district, on the South Bank of the River Thames. The site is said to be the largest regeneration zone in central London and has been described as the “last piece of the central London jigsaw”. It is being transformed into a new and modern residential and business quarter, offering 25,000 new jobs and 16,000 new homes. Dearneside Fabrications is providing a wide range of metalwork and balcony packages to several of the developments, and working alongside world-renowned architects including Rogers, Farrell and Fosters. 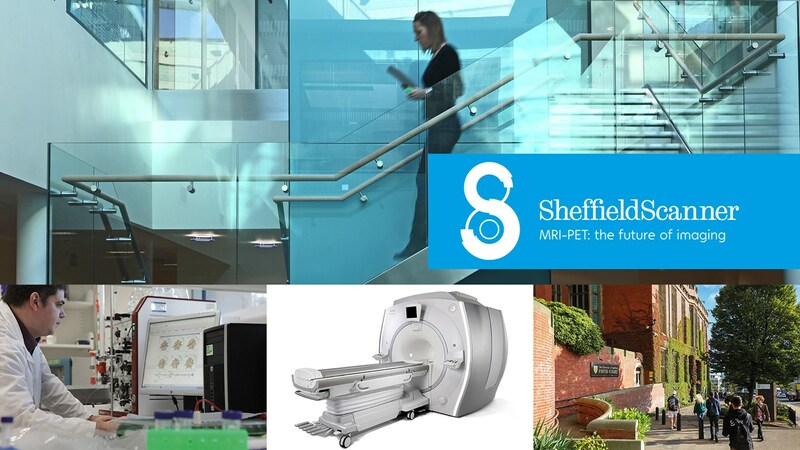 On the 9th April three members of the Dearneside Management team will be running the Sheffield Half Marathon raising funds for the Sheffield University Scanner Appeal. A particularly challenging course lays ahead for the Dearneside Team, which includes Jason Young (Finance Director), Michael Bower (Works Manager) and Joe Bishop (London Site Manager). Alzheimer’s disease; cancer; epilepsy; heart and lung disease; Motor Neurone Disease (MND); Multiple Sclerosis; Parkinson’s disease and stroke and the way we treat them in the future. An MRI-PET combines the simultaneous power of whole body Magnetic Resonance Imaging (MRI) and Positron Emission Tomography (PET) in a single scan to provide the best images of inside the human body. Dearneside Fabrications is pleased to announce it has recently secured the Architectural Metalwork on the prestigious Landmark Place development. Positioned directly on the north bank of the Thames, Landmark Place neighbours the Tower of London and Tower Bridge. This prime residential scheme has been designed by the renowned Foster + Partners practice. This will be the company’s second significant package with Barratt London. The company is currently carrying out the “Balcony /Architectural Metalwork Package” on its Landmark Blackfriars Circus project. 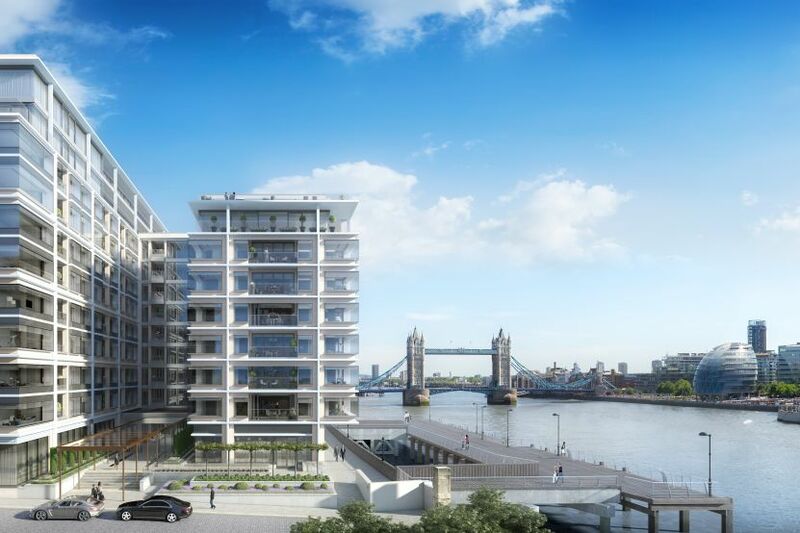 Situated within the limits of Roman Londinium and flanked by the Thames, Tower Bridge and the Tower of London, Landmark Place has been designed by world-renowned architects. The interiors, too, designed by Bolwer James Brindley, are significant too, with inspiration drawn from the simple palette of Mies van de Rohe’s Barcelona Pavilion. The design has taken into consideration the development’s stunning vistas, enhanced by glazing that wraps around the corners of the building, allowing uninterrupted views over the city. Dearneside Fabrications is proud to be associated with many of the new Skyscrapers that with define the ever-changing skyline of the capital City. 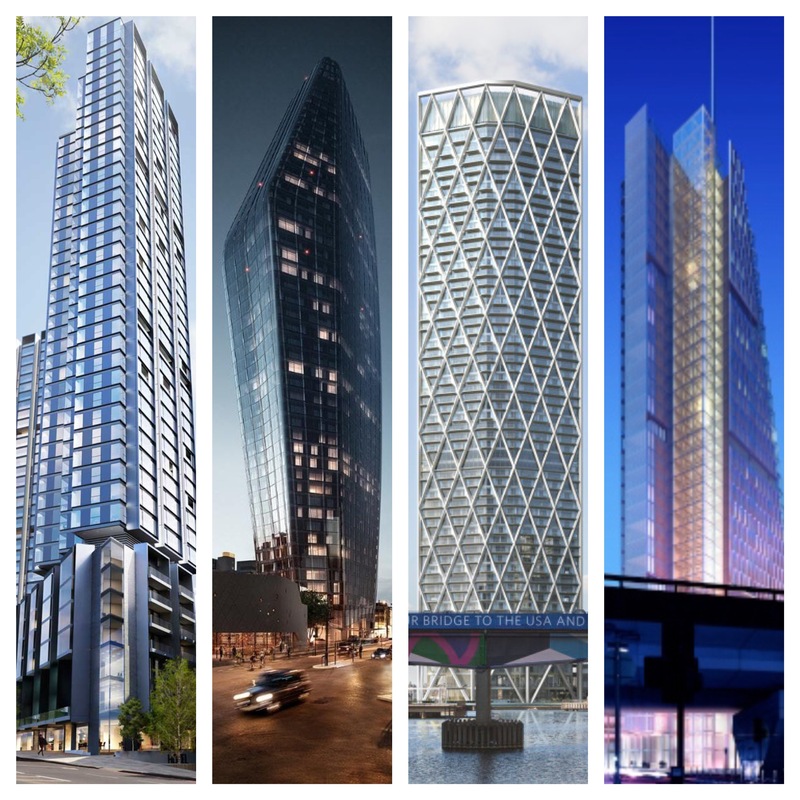 The company will be carrying out various metalwork and balcony packages on several Landmark developments, these include Newfoundland Tower, One Blackfriars, 250 City Road and Imperial West. The Newfoundland project is a 60-storey residential development at the western end of the Canary Wharf Estate. Currently the tallest residential building under construction in Europe. Newfoundland is designed by renowned Mayfair-based architects, Horden Cherry Lee who have created an exceptionally delicate aesthetic rarely found in such impressively high towers. One Blackfriars is a magnificent addition to the London skyline. Envisaged as an awe-inspiring sculpture looking down on the River Thames. The 170-metre high tower with 274 apartments the project, designed by the Rochdale-born architect Ian Simpson is being built by St George. Designed by the world-famous architects, Foster + Partners this prestigious development will feature two elegant residential towers of 42 and 36 storeys.